Ok, I totally know I have no say, but I just thought this would be helpful. Recently on Fries farewell page there was a big discussion about how confusing the site got and people were tense and yeah. Anyways people were a bit harsh about how they expressed their thoughts about new changes with the site in the past months and I think it's a bit unfair to Leandra. We all have to keep in mind that (as she said) sometimes updates are required especially when working with different browsers. She works very hard and I think she's proud of what she's accomplished, I know I would be. When confronting the owner with conflicts and opinions be mindful and respectful okay? She has FEELINGS. The Homepage: To me it is very plain, when new members see it, it should wow them more and make them really want to explore the site. I personally like how you broke everything down to different tabs but I (personally) would like if there were icons or something for it. I did like the old one and how there was color and creations and furniture. I also liked boutiques of the month, fashions of the month, and user of the month; those were nice additions. You can have short cuts and links to all the pages, but maybe make it more bold? Explore: Again all white with the cursive is actually kinda difficult to read at times for me. The posts being open some kind of take up more space and bury others. Also you scroll down and left and right.. I think it might be a little to big. With the old forum I liked how You just saw the title, the person that posted it, and the category that it was under. I do like that fashions, outfits, and boutiques are separated though. Shop: Ok this is literally my favorite part of the site right now. I love that you have it set up like a corner shop. I also love how it's a scene and divided into the gallery, stores, and the businesses. I think that's really smart. It's kinda like how the other pages could be when introducing different tabs (such as explore). So that's great! Society: That's pretty straight forward too, I just wish we had more contests, I also miss the old archive of all the winners. I get site contests are hard but I do wish we had more :D the same thing goes for talk as the forum. What I would like/miss: I miss the magazine, I can't find that, I miss the custom center, and I miss the auctions that we had. Also the old teams over fashions and interior, and all of that. That was nice. 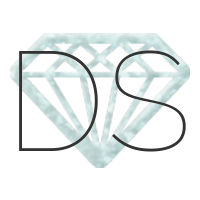 The diamonds are good and I kinda disliked how it set back the old members ranks though because I remember working hard for elite. Maybe summer holds more in store? And that's my input. I honestly love this site and I have been inactive a lot due to school but I always come back. When I did it was really confusing and I missed the old look but hey things change. Either make the best of it or contact Leandra about concerns. I have to say I pretty much agree. The one thing I have a major problem with is the forums. I can see the way they're organized, but having everything in one place is easier. In the old system it was a lot easier to find a specific post-all you had to do was scroll down a list. This way kinda seems like organized chaos that is hard to navigate. Also one other small thing that I'm not sure if you have any way of fixing- a lot of the pages seem kinda too big for my monitor. I don't really know how to explain but they just don't fit right and have a lot scroll bars? Overall I think the site looks far more professional and like Moon I absolutely love the shop page. I also agree that there's too much white, especially on the home page. The old one was beautiful and had more of a "wow factor" that I feel really gave the site a nice feel. As for the likes and misses I completely agree. That's all i have to say~ Thanks for reading! I feel the home page has too much on it. Like the old home instantly showed people what this site was all about. A newbie would be so confused and not fully understand what this site is about. Also I find it hard to find topics in forums (talk). Old way put them into neat organized sections. This one is like a jumble sale. I get how it's a good look for showing off outfits but for text posts where you like to go back to quickly...it's too complicated. I feel that too many updates all at once is overwhelming. 'brain fart' moment. Also feel that asking members more for what needs changing before changing it would be good. More polls. To make the loyal 'active' members feel included. Sure you do that somewhat but, more of it. Sure some members are loyal and dedicated however, a lot aren't. Didn't you say awhile ago that you'd look into that? Not that I'm thinking I'd want to join team, just feel that it's unfair for members who are active not to get a chance...when members who don't come on much are getting all the glory. Feel free to hate on what I'm saying. p.s. bring back society reader...I enjoyed reading that. Lots of us did. I agree with Moon on many of these things and I appreciate all the great and detailed feedback from everyone. I'll try to go through some of the things listed and make comments on what I think can or can't be changed and what Ill try to work on. Homepage: I'll try to see about making it more interesting maybe some different colors for the tiles or something, any ideas are welcome too. Explore: I know what you mean about the cursive, especially when some use all caps so I might see about another nice neat font to use possibly. The sizing thing I wanted it to be set based on screen size but because a few issues its set to a fixed width right now. I am going to see about more coding to adjust it to screen size though pretty soon so then that should be fixed. Society: Id like to do more contests, i think its more a matter of me forgetting because im busy with my todo list. Just like I want to create more posts, I need to just add contests then add to my todo list so i dont forget to work on more. I read this earlier this morning forgot to say thank you for this post Awesome ideas:) And Leandra that would be cool if you can make it possible to have both design studios. Like I said above I want to work on fixing the size issue if I can but for now I had to use a fixed width for the screen sizing. I'll have to make adjustments that change based on the screen size. For the organization of the sections, I plan to implement a search feature, that shouldn't take me too long once I get to it. That'll help make things easier to find and Ill also see about some kinda link to all the posts a member has posted in so they can easily find those as well. I'll try my best to make some more blog posts that ask for members ideas and try to remember adding polls, many times I forget about those. Teams I've been saying I want to evaluate and I plan to, I've got a lot on my plate but I'll start the process of this quickly. Oh also if you could go to google fonts and try to pick out a few that you all like for the site, id like to stick with the main font i use, but maybe a secondary type thats either a simple fashion kind or cursive like the current one used for titles. Something readable to replace that if any of you find some you like let me know! I've also added monthly contests to our contest section so everyone check it out! Thank you so much Leandra! I really appreciate it! I'm glad that this post is ok and that replies are happening. I just think it's where we can share opinions in a NICE kind of way. Thank you again and I'd love to help in any way that I can, I'll look at some fonts now. How's this? I'm not sure if you can use fonts from this website but I liked it-It's still kinda curly and sorta fancy but a lot more readable. Also thank you for taking so much time to reply! I wanna try to stick with google fonts because i know they work cross browser, but I like the font Jazzy(might even have it on google fonts). I wanna make sure whatever I choose is clear to read in different colors and at different sizes on all screens, because I know the cursive can be a lil hard on some screens. I went through google fonts and found a really similar one. I'm not sure how to link it but it's called crafty girls! In my opinion, the site's previous layout was easier to understand. But, it would be nice if the grids for the Explore and Society were even in size. Agreed :) Fries dear, I just saw that we had differences so I decided to make a post where we can all express ideas and concerns and list what they like as well. This makes it easier for everyone to understand and for Leandra to see what's going on in our thoughts. I pretty much agree with everything you said Moon. I miss the home central and personally liked it better than the current setup. Also as Art said, most team members aren't loyal anymore. I know at least 2 angels aren't active and a lot of the regular ones aren't either. Thanks pink and yeah I'm working on the teams right now I'm doing evaluation with new info posted by Monday. Once someone earns angel though, they always stay angel whether active or not, since many come back and those people have earned a permanent honorary title really. Right now I'm estimating 2 new team members and 3 removed as well as 2 new angel team members. OH exciting! I'm glad that this post turned out ok! anyways I love the salon! It makes me really happy! I love the business idea! @Moon Thanks I thought it simplified things more and then builds anticipation to purchase the items. The way it was before, sometimes all the members bought the samples, but not enough was earned for a full ss and that doesn't work.